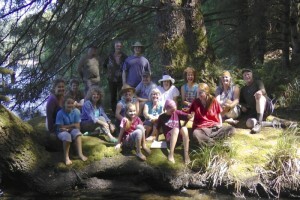 The Artists’ Journey brought visiting artists to the Children’s Forest in the summer of 2012, where they were joined by local artists and created beautiful works of art inspired by the forest. These works of art were donated to raise the funds necessary to publish Forest Alphabet: Artistic Visions of a Forest in Trust to the Children. 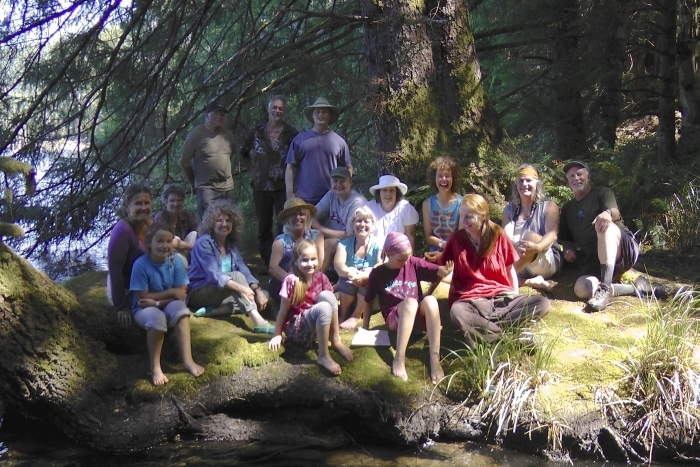 Forest Alphabet features the original artwork and voices of 33 bright-eyed and beautiful children from Cortes Island speaking out for the protection, in perpetuity, of the Children’s Forest. 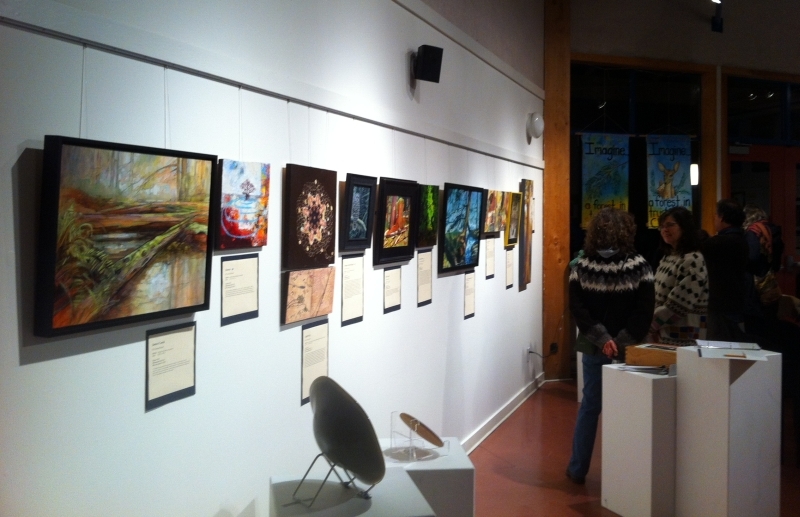 The first Artists’ Journey Art Auction was officially opened by Ann Mortifee, honourary director of the Forest Trust for the Children of Cortes Island Society, on November 23, 2012 at Saltspring’s ArtSpring Center. The public joined Ann Mortifee and husband Paul Horn for afternoon tea in the gallery while viewing the artwork. Ann Mortifee later spoke on her venture into the Trust for Sustainable Forestry and Forest Trust director, Sabina Leader Mense, spoke on the Children’s Forest. The children of Cortes ended the evening with a live auction of ents & banners created for the Children’s Forest and announced the sealed bid auction winners at 9 pm. The second Artists’ Journey Art Auction was held on August 22, 2013 at Cortes Island’s Natural Food Coop Café, following a month of sealed bidding. Artists of all disciplines have contributed artwork, making for an exceptionally interesting and eclectic collection of artwork. The total monies raised have covered the costs of printing the first 1000 copies of Forest Alphabet. The books arrived on Cortes Island in the summer of 2014, with a very successful official book launch in June, 2014. 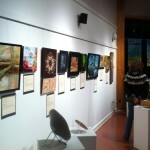 We are thrilled and hold deep gratitude for all the artists who contributed to the Artist’s Journey! Click here to view the remaining artwork online. To place a sealed bid online, click here or e-mail slmense@telus.net with art auction as the subject. Sealed Bid Auction Rules. Thank you for your continued support of the Children’s Forest. Imagine… a forest in trust to the children.